The Greenspring Montessori Adolescent Community (Middle School) is the culmination of the child’s experience as a Montessori student. 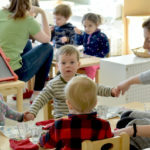 More and more Montessori schools are offering this unique program as it is designed to meet and serve the needs of children during this period of tremendous personal growth and change. 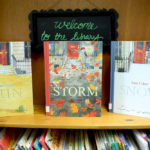 Students are expected to bring a high level of independence and self-direction, a comfort with collaborative work, and a love of learning for learning’s sake. The students treat each other with respect and are comfortable with the knowledge that each person has different strengths and challenges. The manipulative materials of the elementary level are rarely present, as adolescents have moved beyond their applications and are now solidly comfortable with the more adult learning techniques of reading, discussion, and application to a task. Montessori adolescents continue to learn without letter grades or gold stars. Conversations with the teachers and written remarks on papers complement the most important barometer of success: the student’s own knowledge that he has put forth his best effort. The mixed-age class supports each student in applying himself in a unique way to a group experience. Longer blocks of time each day for subject areas such as Occupations and Humanities, Sciences, and Creative Expression allow enough time for each student to follow personal threads of interest without interruption. While traditional education often teaches facts that are isolated from life outside the classroom, the Montessori adolescent community offers lessons with practical applications that allow students to make improvements in that community. “What will I use this for?” is an often-asked question of the adolescent, as he is determined to use knowledge to DO something in the world. 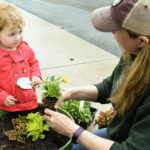 Projects such as monitoring the neighborhood watershed, building and maintaining a large garden, or baking bread, are real world opportunities for many lessons in science, language arts, and practical life skills. Students work as a group to find ways of making money, their first direct experiences of the economic connections in a society. The success of earning money for a job well-done is a strong source of validation for the adolescent’s skills and contributions. The Montessori community for children aged 12 to 15 years is based on the recognition of the special characteristics of adolescence. Adolescence is an age of great social development, an age of critical thinking and re-evaluation, and a period of self-concern and self-assessment. It is the transition from childhood to adulthood. Above all adolescence is like an odyssey – an arduous yet exciting adventure – where the adolescent tries to find his or her place in the world. See the impact of a Montessori education.